I hope all the mamas out there had a wonderful Mother's Day! We spent Sunday on a day trip to Storm King Arts Center in Mountainville, NY. I'd been wanting to go there for a while, and Mother's Day seemed like the perfect excuse to head out of town for a day trip. Located just an hour north of NYC, Storm King is a sight to behold. One of the world's leading sculpture parks, we had the best time just walking around taking it all in. There were literally dandelions EVERYWHERE, and the girls had so much fun running through the field picking flowers. Afterwards, we took a tram around the park to get a more official tour of the different works of art, but you can also rent bikes to get around. 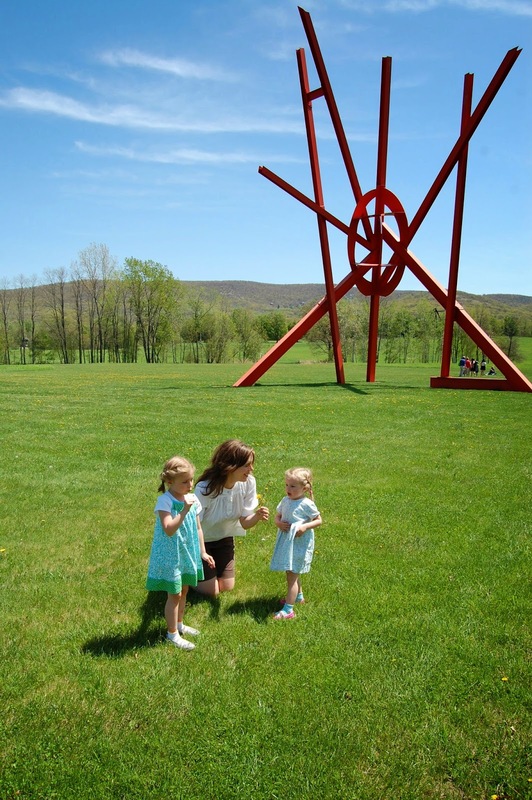 At $15/person (4 and under are free), Storm King is an ideal mini getaway from the city. 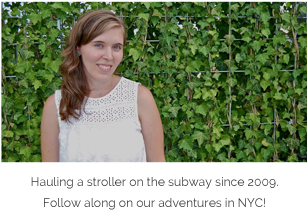 By car is the easiest way to get there, but Coach USA also offers two trip options from the city. Prepare to walk around in awe that such a beautiful, wide open space exists so close to the city, and definitely bring a picnic!